Bossy Italian Wife : Cherry Cake Muffins & Cherry Limeade! I have never had the problem of finding myself with an abundance of cherries, but there is a first time for everything. I love cherries. So when my farmer threw a boatload of those suckers at us one day, I was elated to try cooking with them...but I didn't want to go with a cherry pie because that was just too predictable for me. And I didn't want to blow all my cherries on one recipe. So I settled on these cherry cake muffins. Only one problem....it's canning season so I had left my Kitchen Aid mixer over at my mother-in-laws house so that we could use it the next day. Lesson learned because the recipe called for creaming butter. And I threw out my hand mixer when I got my Kitchen Aid. Double lesson learned. I could have creamed the butter by hand, but modifying the recipe seemed the more logical thing to do. Because I was feeling lazy. Seemed like an okay batter to me...but I will admit, I was nervous that it wouldn't turn out. 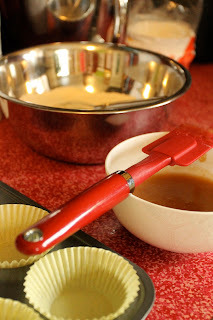 This is nothing new...I am always nervous when it comes to baking, though I must say much less os than I used to be! This is picture of filled muffin cups and cherries. A lot of cherries. 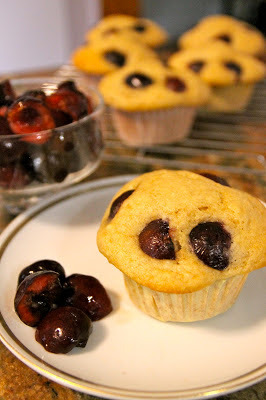 Obviously I didn't use all those cherries on these muffins. Just four halves per muffin. Then I baked them.....and guess what happened? They came out really well!! Now, these are very moist, which is what I look for a cake. I don't do dry. Dry is for the birds. 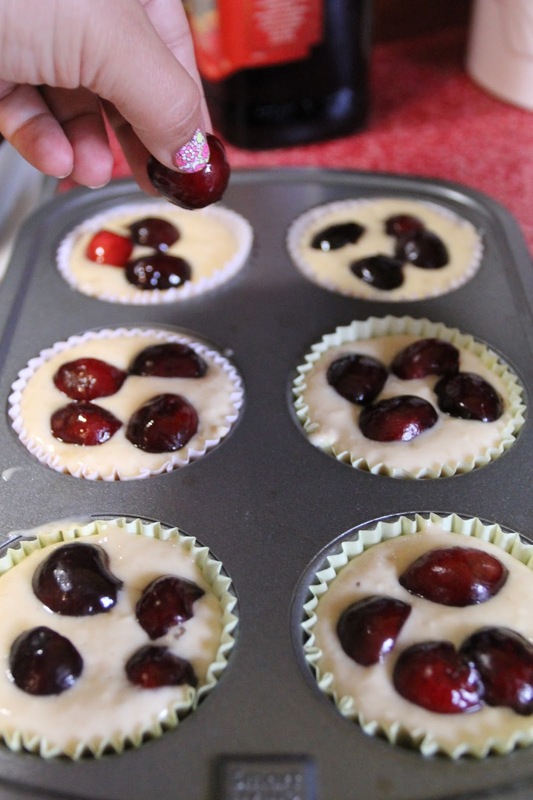 I was proud of myself because this my first time baking with cherries. Also? Great breakfast item. Why? No butter. Hehe. I can justify it! And then I was like...you know what I could go for? A refreshing cherry limeade!!! This picture was only to prove that I juiced the limes myself. I don't want you all thinking I am skimping here. This is a bonafide limeade. Bonafide. Great word. It started leaking and then I was yelling frantically to my husband in the living room, "Quick babe! Grab me the Waring! I'm in trouble!" and I might have dropped the f bomb...I might have dropped several f bombs. I'm classy like that, what can I say? My husband assisted me; disaster averted, and blending complete. Thank god for my husband, otherwise I would have not have been able to pull off this refreshing beverage. Now, we need to talk straining. Because I was totally like, "should I strain out all those good little bits?" Then I thought about orange juice with pulp, and I recalled how much I hate it. All those little bits sliding down my throat get in the way of my enjoyment of the beverage, which, without pulp is quite delightful, if not a little to "thick" for my taste, so I like to add water. This might sound like an over analyzation of this particular question, but I assure you, it's not. Long story short? I strained it. I also like to dilute mine with seltzer, but if you don't share my love of seltzer, you can add a couple cups of water to this limeade until you get whatcha want from it taste-wise. Tweak it. Twerk it. I just thought of Miley Cyrus. Anyone else? And then when I went to put it in my container, the lid broke. More f bombs. I am not proud....just honest. Lucky for me, my husband fixed that too. 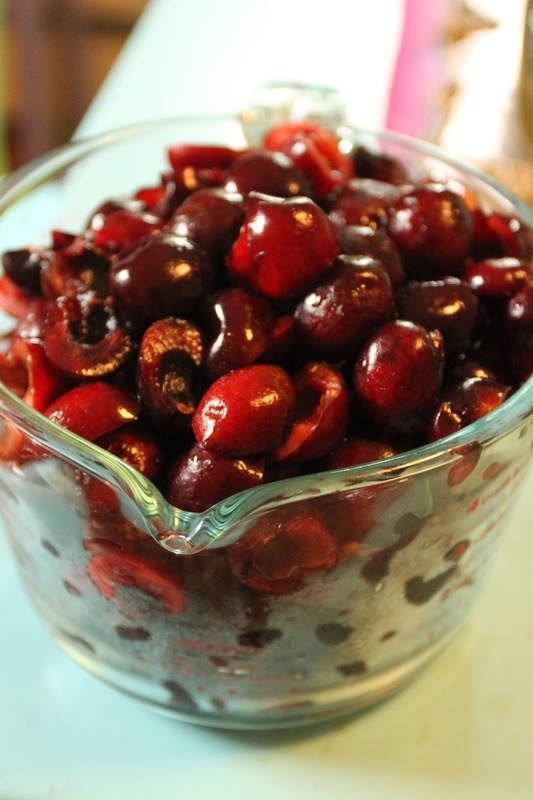 Even after all of that, I STILL had cherries left over to the tune of two cups. I know. What a problem to have. So I froze the rest because frankly you never know when you are going to need some cherries....right? Preheat oven to 350 degrees F. Line a muffin pan with muffin cups. I like the pretty colored ones, but whatever turns you on works just fine. In a bowl, combine the flour, baking power and salt. In a separate bowl, mix your applesauce, and sugar . Once mixed, add your beaten egg and your vanilla. Alternate adding your milk with your applesauce mixture to the dry ingredients. Though I never understand why they make you alternate, I hear this is a thing in baking, so I just do it. Just don't as me why. But do it. Once it's all mixed up, distribute the batter amongst your muffin cups. Top each muffin with four cherry halves. Bake in your preheated oven for 20 minutes or until they are looking all cakey and wonderful. 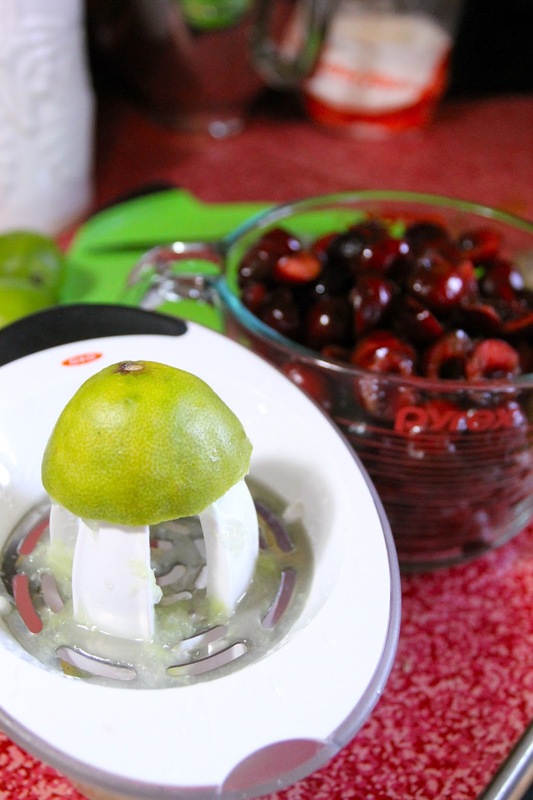 Let them cool on a rack, and then enjoy with some.....CHERRY LIMEADE! *I used 7 limes because that was what I had. However, it really worked out by juicing me an even cup. You might need t10 if you bought them fresh in the store same-day. 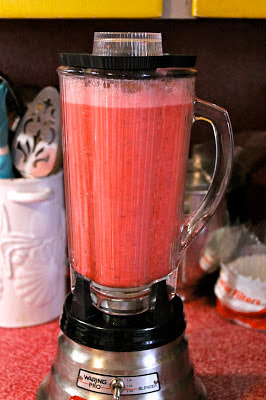 In a blender...or a food processor that doesn't leak....or a blender just to be safe, combine lime juice, sugar, cherries and water. Blend until smooth. 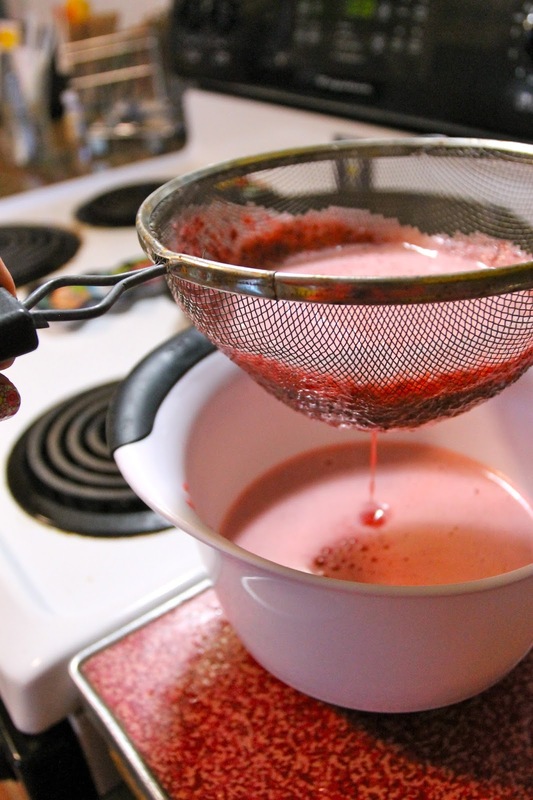 Strain through a fine stainer and put juice into a storage container. I like to dilute my juice with a little seltzer, but if you don't like seltzer, feel free to add a couple more cups of water to thin it out, or don't. This is your juice. Can't nobody tell you how to juice it up!